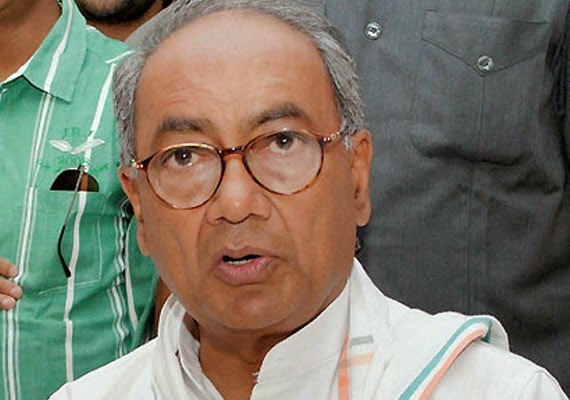 Bhopal : The Former MP of Congress and CM also Digvijay Singh's name involved in a FIR, which has filled against 19 persons, who were allegedly recruited in contravention of laws. Except Singh, former speaker Sriniwas Tiwari have been booked for alleged fraudulent appointments of 17 people in state legislative assembly secretariat by “misusing” their official position between 1993 and 2003. FIR has been registered in Jehangirabad police station against both senior Congress leaders and 17 others who got the jobs due to alleged unfair means. The accused have been booked under different sections of forgery, criminal conspiracy and anti-corruption act. Shyam Lal Maithil, deputy secretary in state assembly, is complainant in the case. He submitted a 14 page complaint with the police on the basis of which the case was registered. The complaint was based on a report of Justice Sachin Dwivedi, who probed the irregularities in appointments during the former CM’s tenure in state assembly. The complaint stated that people were given jobs overlooking the age, qualification and other requisite norms. They were given promotions and send on deputation in departments, like Excise, Transport and municipal bodies. Apart from Digvijaya Singh, Shri Niwas Tiwari, former principal secretary of state assembly, AK Pyasi, Satya Narayan Sharma, Kamalkant Sharma, Pradeep Mishra, Abha Chaturvedi, Amit Awasthi, Brahmachari Tiwari, Ramesh Dwivedi, Arun Tiwari, Shukramani Mishra, Sharad Dwivedi, Sudhir Tiwari, Anil Mishra, Kuldeep Pandey, Davendra Tiwari, Ramesh Tiwari, Yagya Narayan Sharma have been made accused in the case. In some cases, the appointments were made on a plain paper without following any procedure, the complaint stated.